British music chart television programme, broadcast weekly by the BBC in the UK between 1 January 1964 and 30 July 2006. It was traditionally shown every Thursday evening on BBC1, except for a short period on Fridays in late 1974. In 1996 the show was again moved to Fridays, and then to Sundays on BBC Two in 2005. Each weekly programme consisted of performances from some of that week's best-selling popular music artists, with a rundown of that week's singles chart. Additionally, there was a special edition of the programme on Christmas Day (and usually, until 1984, a second such edition a few days after Christmas), featuring some of the best-selling singles of the year. Although the weekly show was cancelled in 2006, the Christmas special continues to this day. Editions of the programme from the 1970s (and now 1980s) are being repeated on most Thursdays on BBC Four. 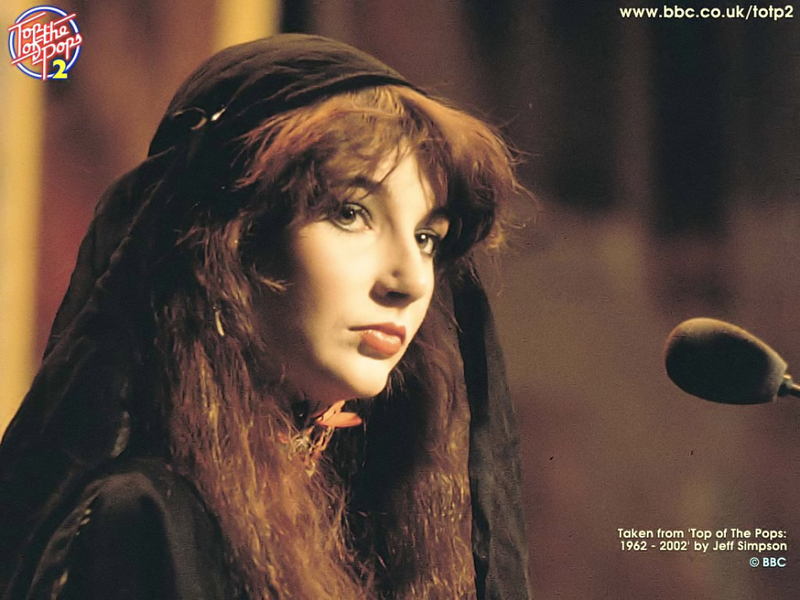 Kate Bush appeared on the programme several times. What follows here is a listing of all of her appearances. 16 February 1978: Kate performs Wuthering Heights. Kate described it as "a bloody awful performance". 9 March 1978: Kate performs Wuthering Heights for the second time, dressed in a white nightgown. 16 March 1978: Kate performs Wuthering Heights for the third time, seated at the piano. 23 March 1978: Kate performs Wuthering Heights for the fourth time, wearing a long black dress. 30 March 1978: Kate performs Wuthering Heights for the fifth time. 22 March 1979: Kate performs Wow. 22 August 1985: Kate performs Running Up That Hill. 6 March 1986: Kate performs Hounds Of Love. 17 November 1994: Kate does a lipsynch performance of And So Is Love, dressed in black, together with two female backing singers.